As we mourn the passage of the author of In the Night Kitchen and Where the Wild Things Are, I take some delight in remembering that local klez-maven Glenn Dickson got him to participate in a delicious children's project, "Pinkus and the Pig." Here are some blurbs about the project, and I do encourage acquiring a copy of the CD in question. Maurice Sendak's Jewish Soul Revealed in his intimate and unique "Pincus and the Pig" CD! "Did you hear of Boychick Pincus, how he opened wide the gate and hippety-hopped over the sweet warm meadow?" So begins Maurice Sendak's inimitable recasting of Prokofiev's "Peter and the Wolf." The charming work is unique in Sendak's ouvre in its loving expression of his Jewish upbringing, its use of Yiddish expressions, and its uniquely Jewish humor. Maurice Sendak was known for his ground-breaking children's books and illustrations, but it was not until late in his life that his Jewishness came to the forefront. In "Brundibar" (2003) he reckoned with the Holocaust, but on "Pincus and the Pig," (Tzadik, 2004) a recording he narrated with the Shirim Klezmer Orchestra, he revealed his personal connections with Yiddish culture. He converted Prokofiev's tale into a Jewish parable, dramatizing it with a Yiddish accent like a veritable "Zeyde" (grandfather). Sendak said that the piece had great personal meaning for him and brought him out of the depression he felt from working on "Brundibar." Prokofiev's Peter was transformed into Pincus, which was his father's name. The wolf became the terrifying "Chozzer," (Yiddish for "pig"), the term his aunt told him she had used in Poland for anti-Semites. At the close, Pincus ends up triumphant, leading a parade to take "Chozzer" to the non-kosher butcher. For Sendak, who lost the greater part of his extended family to the Holocaust, the victory had deep meaning and resonance. Sendak's illustrations for the CD also reflect his Jewish sensitivities and humor. The duck has tradtional sidelocks (payot) and the birdie sports a yarmulke. The soldiers of Prokofiev are replaced by bumbling incompetent Cossacks. "Pincus and the Pig" is the only available recording of Sendak's voice dramatizing his own work, and he utilizes a thick Yiddish accent that recalls the relations he grew up with. Glenn Dickson, clarinetist and co-producer of the album recalls, "Maurice recorded the narration quickly, with just a couple of passes, it was so natural and effortless to him. This demonstrates his own comfort with the material and the accent as well as the clarity of his vision for the story." Dickson continues, "It was a joy to work with Maurice, he was charming, funny and curmudgeonly. He expressed that the project brought him out of the depression of working on 'Brundibar' and that he loved the story because Pincus, the little Jewish boy came out on top. I think in retrospect, Maurice was the Pincus of his family. He came from a family that was nearly wiped out by the Holocaust, but he emerged a winner, creating his art and executing his career in a very uncompromising way." Gibraltar World Music Fest, July 9, 2012, to feature "Sephardic Divas"
I get in touch with you to let you know about the Gibraltar World Music Festival. Its first edition will be held on day 9th of July, inside the Saint Michael's Cave, in the Rock of Gibraltar. This edition is dedicated to "Sephardic Divas" and the artists that will play there are Sarah Aroeste, Mor Karbasi, Françoise Atlan, and Ofir. Alon Yavnai and NDR Big Band / Shir Ahava. There is an explosion of excellent Israeli jazz musicians now being recorded and making a name for themselves internationally. Things have come a long way since Arele Kaminsky hosted a weekly Thursday night jam session at Pargod in Jerusalem in the 1970s—the best substitute for a country that couldn't seem to sustain an actual working jazz band. The most recent CD to cross my desk is this lovely new recording by pianist Alon Yavnai. 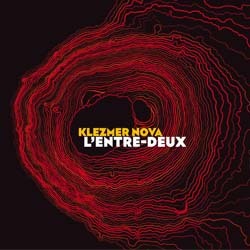 No new territory, just excellent compositions played with excellent musicians. You can find out more about Yavnai on his website, or listen to samples/purchase the CD from CDBaby.com and other fine online vendors. Harmonia / Hidden Legacy: Folk & Gypsy Music from Eastern Europe. I don't know where I first met Walt Mahovlich. He and fellow bandmates Steven Greenman and Alex Fedoriouk are everywhere insanely great balkan (and klezmer and Eastern European) music wants playing. But a couple of years ago I had the privilege of being Greenman's guest in Cleveland and got to see the entire Harmonia ensemble live (as well as the three aforementioned masters at a separate klezmer festival). I would happily drive back to Cleveland, or anywhere in between, to see them again. The full septet includes the stellar voice of Beata Begeniova, as well as a bass/plucked string master; sopilka and other wood flutes; and a second violin who challenges even Greenman. This new recording by Walt, Steven, Alex and the band brings back those memories and captures their sound. To paraphrase Tom Lehrer, "Don't shade your ears" … get your copy from Folk Sounds Records and then come back and read the rest of these quick notes. The gonifs. A decade or two ago when I lived in the Bay Area, I stepped out of the annual Klezmer festival in Oakland, CA and discovered several waif-like klezmorim busking at the entrance. They were great. They were the Gonifs. Lo, these many years later, Jeanette Lewicki, Peter Jaques, and a host of friends are still stealing our hearts and now we have an actual recording, one that especially features the Yiddish vocals of that mistress of street-corner Yiddish song, Lewicki, herself (also reknowned for her excellent accordion), now joined by a host of friends (including the cast of Veretski Pass). There are neat blog posts about the different songs on the Madame Levicki blog. If the all-star cast doesn't move you, consider that what got the Gonif's off the street and into the recording studio was that this is actually a benefit for the Prisoners Literature Project. So, do yourself a listening pleasure and do good at the same time, from Porto Franco Records. Ljuba Davis Ladino Ensemble / East and West. Harking back to my years in the Bay Area, I have a definite memory of listening to Ljuba Davis, at the very least featured during a fund-raiser around the time of the Bosnian War. With a lovely, real-sounding voice and a delightful selection of traditional repertoire, she was one of the few Sephardic singers that stuck in my mind. Here it is many years later, and there is finally a recording. Not only that, but the ensemble behind her voice captures a Balkan/Spanish Sephardic sound that is perfect. This CD is one of a small (but growing!) number of traditional Sephardic music CDs worth listening to. It is also designed to learn from--in addition to a CD featuring Davis' voice, there is a second CD featuring a male voice (or just instrumental) designed to provide access to the melodies by those who want to learn to sing the songs (or who are limited by the current haredi "kol isha" fetish). The CD release party is in NYC on June 15, and the official album release is on June 12. But, KlezmerShack readers don't have to wait. You can order the CD (as well as read the lyrics, enjoy photos of the ensemble), at the Ljuba Davis Ensemble home page. Hal Aqua and the Lost Tribe / Lost and Found. Hal Aqua, a Denver, CO-based graphic artist, has been making Jewish music for decades. Unlike many klez-revival bands, he has appeared less interest in returning to wedding sounds of yesteryear and much more interesting in playing a wide variety of Jewish music. With his latest band, the Lost Tribe, he takes things farther, often setting familiar songs back and forth to familiar-sounding melodies from rap to reggae. He also accomplishes the opposite, as on using strains from "Mezinkes Wedding" to backdrop Bob Dylan's "Subterranean Homesick Blues." The repertoire covers the Jewish gamut and I really like it. You can get your own copy from cdbaby.com. I've been listening to the free "double EP" by this new ensemble with considerable interest. I'm not sure how to categorize it—obviously influenced by Balkan music, in general, and by modern electronica. Joe Sepharad sez, "check it out!" We will be performing at the Sephardic Music Festival in Brooklyn, NY this coming December so I am hoping to build a listenership in advance of our coming to the US. Getting more into the current holiday spirit, Moussa Berlin sends the following from Lag B'Omer celebrations past at Meron, in Israel. Moshe Berlin posted this video to the Jewish-Music mailing list, a tribute to the late klezmer and teacher in Israel, Avrum Segal, z"l who passed away just before Rosh Hashanna in 1993. The tribute was held in 1994. From Talat's Alon Nechushtan, "Reincarnation of a Niggun," as performed by the Ayn Sof Orchestra, live from the six street synagogue in downtown New York, December 24th 2011. Alon Nechushtan - "Reincarnation of a Niggun" for Big band from alon nechushtan on Vimeo.